My name is Mr Richard Lloyd and I teach Class Three. There are twenty eight children in class and they are all very caring and hard working. There is a lovely atmosphere in our class. All pupils enjoy being in school and meeting their friends and working with them. This reflects the sense of family that we enjoy in our school in general. 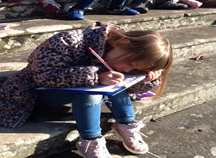 The children are faced with a lot of challenges which involve many different subject areas, from Maths to P.E. We are a particularly artistic class and the children expect to be given many creative opportunities during the week. All are super keen to see their work displayed on the walls and many go home inspired enough to make art in their spare time. Last term our project was Our World and we had a great term learning about all the diverse elements which surround us. The Autumn term is always exciting as the build up to Christmas approaches and it is a lovely time to be in school with your friends. Of course the icing on the cake is the Christmas concert in December. All the children in Class Three get plenty of words to learn. Our play this year, The Mousehole Cat, was very successful and I was very proud of the children’s acting abilities. 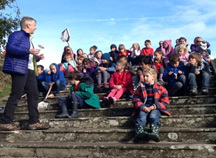 Class Three, in common with the other classes in Lamphey School, do a lot of work in the outdoors. 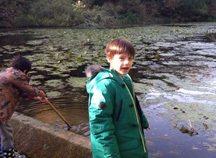 We regularly visit the Stackpole lake system as part of our study. We are able to do Maths, Science, Art, Literacy, History and P.E. on the beaches and in the woodlands of this beautiful area. 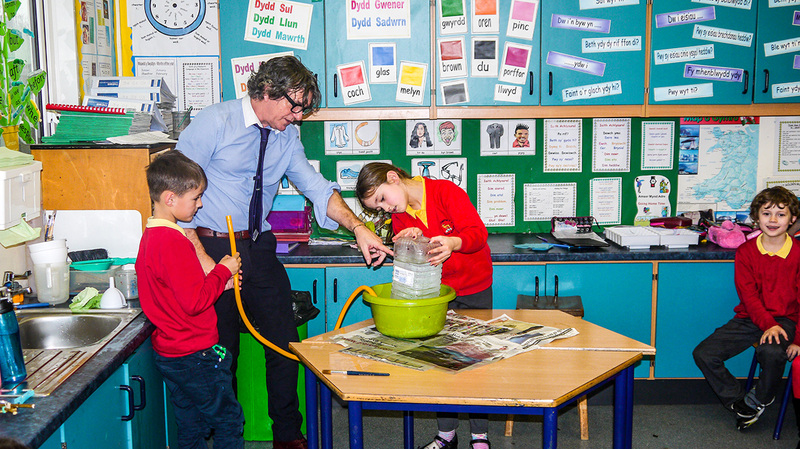 The children come back to school inspired to learn more after these visits and very often go back with their parents to tell them about the ponds and wildlife in this lovely part of the world. This term our topic is The Celts. The children are already finding out about these ancient people and many are conducting their own researches independently at home. The children enjoy learning their tables through songs and games and they all love being challenged by mental arithmetic tasks. Sometimes we will use our tables in games lessons as scoring systems which further helps the children to fully remember the facts involved. They have games twice a week and are all very fit! They particularly enjoy doing Zumba which gets them really puffed out. We always make our science lessons exciting and practical. We have measured lung capacity and made model lungs using balloons and bottles. We even changed milk into stone during our lessons about changing materials. When we investigated the amount of sugar in a can of fizzy drink we were shocked! With all these activities and opportunities, the children are receiving a full and vibrant education in which they are given the space to grow. They make their own mistakes and learn from them and have the confidence to do so. They support each other in this endeavour which creates a learning environment that is happy and productive.